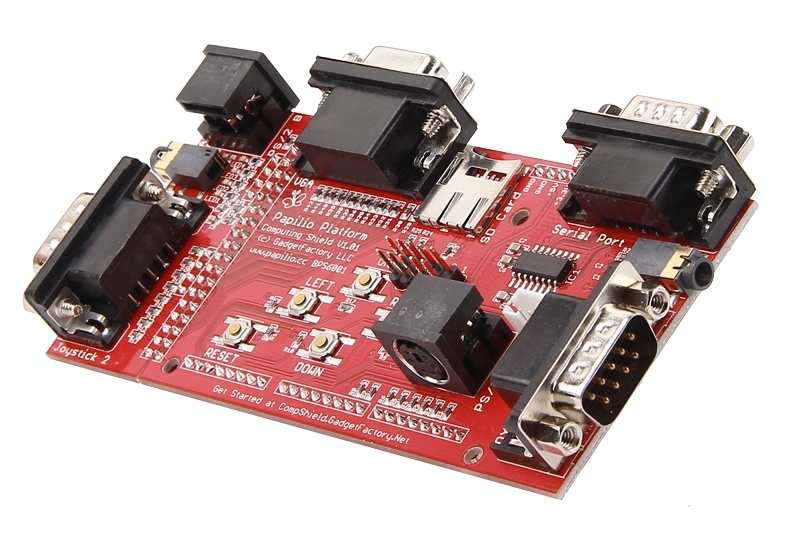 Classic Computing Shield provides all of the hardware needed to recreate classic computing systems on the Papilio DUO. 2 Stereo Audio Jacks - 1/8" Stereo jack with low pass filter is ready for CD quality Delta-Sigma audio output. 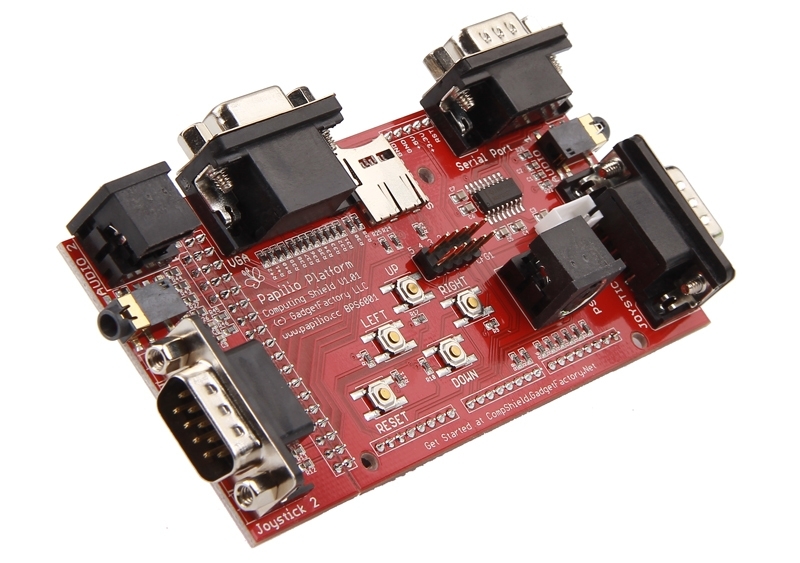 PS/2 Ports - Two PS/2 ports accept a keyboard and mouse. 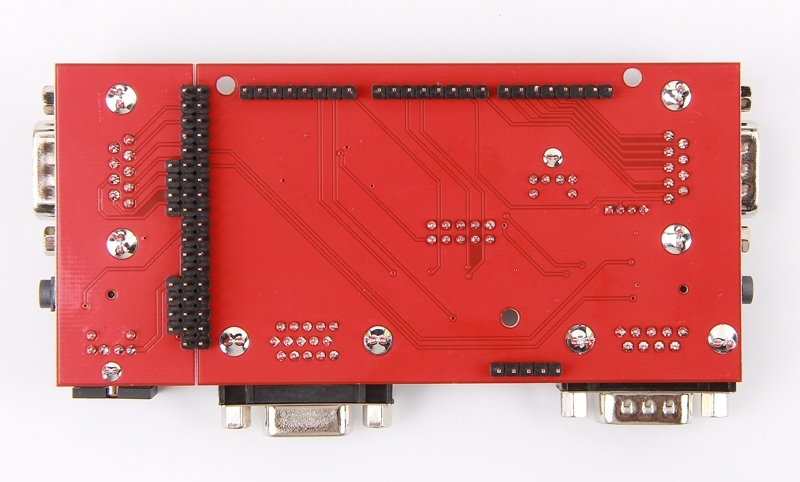 2 Joystick Ports - Two DB9 Male joystick ports accept Atari, Commodore, and classic arcade joysticks. 4 Way Buttons - 4 buttons in a plus configuration for user input. 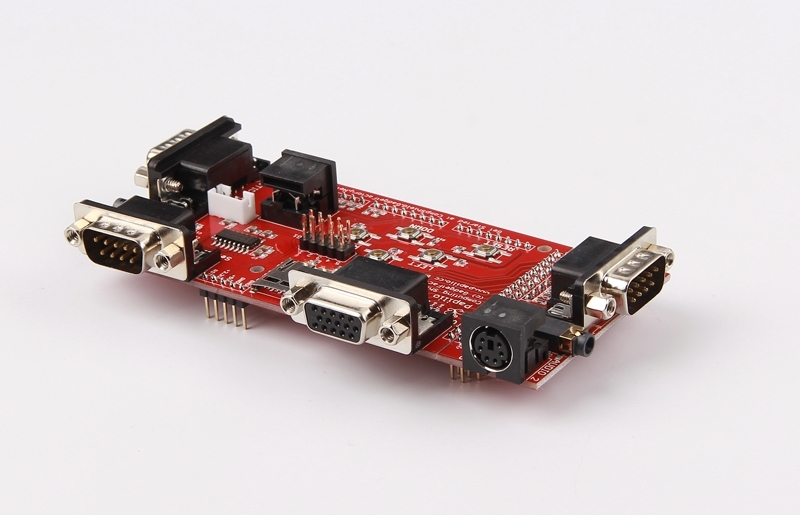 RS232 Serial Port - For connecting peripherals that require RS232 communications. Detachable Wing that allows you to sacrifice the second Joystick, Audio Jack, and PS/2 Jack to free up a 16-bit Wing Slot. 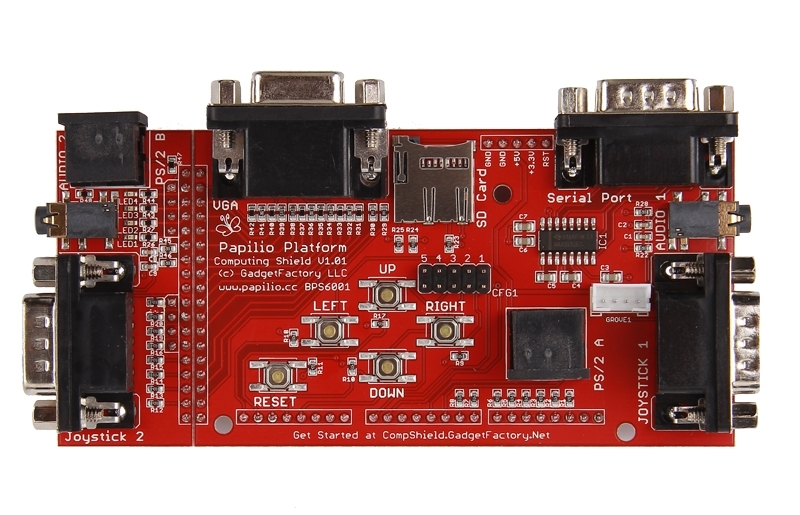 The Computing Shield requires the Papilio DUO board.